Above & Below: Essie's Yes We Can, Pink! Not unlike many of their sheer pinks, but all for a good cause. Below: Creative Nail Design's new Colour & Effects. The Colours are Relay Red (red coral creme), Raisin in the Sun (brown creme) and Marshmallow Rose (very light pink creme). The Effects are Ice Blue Shimmer (next to the red), Copper Shimmer (next to the brown), and Crimson Sparkle (next to the pale pink). Below: Close-up of Crimson Sparkle. Below: All 3 of the sparkles I got. Top to bottom: Ice Blue Shimmer, Copper Shimmer, Crimson Sparkle. Our winner in the $50.00 Victoria Nail Supply/Color Club Treatments giveaway was Heather. She does not have a blog but is a fellow nail polish lover and is planning on getting some of the new China Glaze Glitters with her gift certificate. Congratulations to Heather and a big thank you to Yen and VNS for partnering with me on this fantastic contest. VNS is having a special Japanese Glitter made just for them by Color Club and I'll have more information about that tomorrow. Today's NOTD is Essie's Limited Edition release aimed at bringing awareness to breast cancer, especially during the month of October, which is National Breast Cancer Awareness Month. Their release states: ESSIE Yes We Can, Pink! is a soft, sheer pink polish specially formulated to commemorate Breast Cancer Awareness Month. 10% of the proceeds from this limited edition polish will be donated to Living Beyond Breast Cancer in a collaborative effort to raise interest, awareness and funds for the fight against breast cancer. In doing what Essie does best, sheer pinks, this is a delicate shade of pink done in a creme, that applied nicely in 3 coats. The coverage wasn't perfect, but sheer cremes seldom are, at least for me. I'm not a big fan of sheer pinks, although they are nice to wear once in a while. I love the extreme high shine of this polish and I love that it's for a good cause. Creative Nail Design recently launched their new Colour & Effects line and mine just arrived, so I have no nail pictures. But I do have bottle pictures. I'm curious to try these out, especially the Effects. They are designed to use as a top coat over the Colour polishes, but I imagine they'll work over other brands as well. I'll try them out soon and post pictures and my thoughts on this line. I had quite a time removing OPI Ink Suede this morning! It was almost as bad as China Glaze's new glitters. I didn't have that problem with YDKJ Suede, but I didn't wear it that long either. One interesting thing I noticed when removing Ink...after the first swipe of acetone, my nail was still perfectly polished, only the color was a bright silver finish, not quite a shimmer and not quite a chrome. Yay! 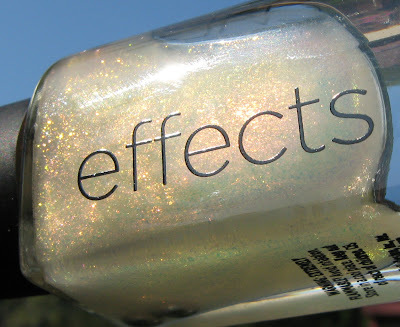 I cant wait to see what you come up with for the CND Color Effects polishes! 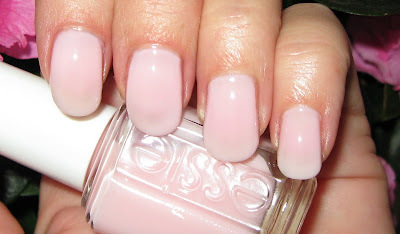 I like that Essie, its nothing new, but I like it all the same. That's a very pretty pale pink. I don't have a lot of those, as a matter of fact, there may only be two in my whole collection ;) Looks great on you Mary! I'm SUPER curious to see what you think of the CND Colour Effects, and your experiments! Can't wait to see Colour Effects! Congrats to Heather! That is a lovely pink. Looks gorgeous on you. I'll have to buy this one. Any little bit I can do will help. I can't wait to see the CND polishes. I like those special finishes. Congrats to Heather. She will have such fun at VNS with that gift certificate. I love that pink, I want to munch that! Love the new CND line, I can't wait to try it out. Congrats to Heather! AdorePink~agree, nothing special, but I still like it. I'm anxious to try out the CND's! Nicole~thanks! I've always loved CND polishes, and although these are a little more expensive, who knows! Kitty~me too! I've got them lined up to try. 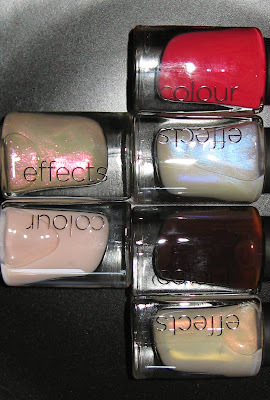 Chocaddict~I'm going to try them over the CND polishes and other brnads too. I don't think there's a difference, but maybe there is. BeautyJudy~I'm wondering about them as well! 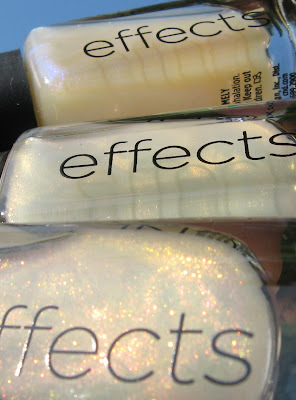 If the Effects are no different over other base colors, that will save me some money! Tavia~thank you :) Looking forward to your swatches. I love the Fall collection.